We've just finished the 24 hours of prayer and I'm now walking down to the shop to get a paper and reflect on it all. For me personally it's been so refreshing to spend extended time in God's presence - it just does good to me on the inside. And to know in a whole load of areas of church life we've now asked God to intervene and send some of heaven to earth. So a huge thank you to everyone who got involved this week. Whether you prayed, lead worship, lead an hour slot or anything else - I so love being part of this community. Catrina has gone to a Nancy Beach (Willow Creek) day in London, Zak is in Lithuania and Jacob and Alice are having sleepovers so I've got a rare morning alone - nice every now and again! Hope to catch you tomorrow. Just wanted to give a quick plug to The Marriage Course which start next Tuesday. I always thought that marriage courses were for people who had marriages in crisis, that was until Catrina and I did the course quite a few years ago now. I can honestly say it transformed our marriage. Lot's of things we now do in our marriage (including having regular marriage time, the way we resolve conflicts and other things I can't mention in a blog which is read by all!) are as a result of the course. So if you're a married couple and want to turn a good marriage into a great marriage, or you have hit a bit of a rut and want help in moving on, I thoroughly recommend signing up. I'll make a special plea to husbands here. So often it's wives who want to do the course and husbands who are reluctant (that was certainly true for me). Well men, why not reverse that and take the initiative in improving your marriage. There is a financial cost to doing the course, which covers the cost of the meals and all the materials, but please don't let that stop you coming. If you are in financial difficulties then just fill in an application form and write on there that you need financial help and someone will get back to you to talk that through. It's 3am and I'm cold! Well it's 3am and I'm with a gang of parents at The Kerith Centre to see Lee and various members of our youth onto the minibus for their trip to Lithuania. 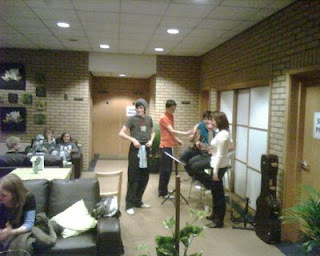 They're playing at a Youth Conference on Friday night and all day Saturday. Please pray for them all, that God will keep them safe, use them powerfully and be preparing them for a lifetime of serving Him. The minibus has just gone so I'm back home to try and get some sleep! "At the evening service tonight, the sermon topic will be "What is Hell?". Come early and listen to the choir practice." Is it possible for God to be both a God of love and a God of anger and wrath? Could a God of love really let people suffer for eternity in Hell? Today is Holocaust Memorial Day, dedicated to the rememberance of the victims of the Holocaust. The reason it's on the 27th January is because it's the anniversary of the liberation of the Auschwitz concentration camp by the Russians in 1945. "Greif leads the group from barrack to barrack to look at simple displays of devastating intensity. The whole side of one room is a glass cabinet of human hair banked in grey clouds. Hollie, Hannah Oakford and Miss Martin quietly begin to cry. Throughout the day, whenever someone cries, someone else comforts them. Behind the crowd, Sam Wade walks slowly up and down, head lowered, only glancing sideways at the hair. Walking towards the coach, I ask Sam why he wouldn’t look at the displays. 'I just wanted to pray,’ he says. 'I’m a Christian so I went to the back and prayed. I prayed that the families could almost forgive the Germans.’". Hope you have a great week and to catch you as we meet to pray this week. Hello from Butlins! It's Saturday morning, Ethos have just finished leading worship at the youth event and a guy called Stef Liston who leads a church in Camden London is speaking. I wish you could all be here as you'd be so proud of Lee and the youth as they lead the 400+ young people here. We've got this afternoon free to drink coffee (there's a Costa here!) then Lee and Zoe are speaking tonight. If you have a moment please pray for us as God is already doing amazing things amongst the young people. It's going to be strange not being at Kerith tomorrow morning, although I'm sure everyone will have a great time without us! We will be back for the evening meeting so hopefully catch you then. I was so excited at the start of this month by the number of people telling me they were planning on reading the Bible all the way through in 2009. Some were planning on using the YouVersion plan I've been using, others had found different plans they were going to follow. Well I realise that now, 22 days into the New Year, for quite a few of you that good idea will now be just yet another New Year's resolution which never made it to February. So here's my encouragement to you. Keep going! If you're a couple of days behind then skip watching CSI or the news tonight and catch up (I got three days behind last week and had to set a bit of time aside to catch up). Or if you've given up completely then just start again with today's reading. It's not that there's something magical about reading all the words in the Bible in a year and if you do that God will reward you - that's law and we live in grace - God's undeserved gift. What's important is you getting a little bit of God's living word into you every day. And if you never started in the first place just start from today's set of reading. Psychologists reckon it takes about 40 days for us to establish a habit. So that means if you keep going then some time in the middle of February doing the reading will start to become natural, and it will feel weird if you haven't done it. A bit like cleaning your teeth, but more beneficial! I'm off to Butlins tomorrow afternoon for the NewFrontiers weekend. Catrina and I are going to be helping with the youth - just like the old days. We won't be around Sunday morning but will be back in church Sunday evening so maybe catch you then. If you can don't forget to sign up for at least a couple of slots during the 24 hours of prayer on Friday 30th. Juts to let you know that there are still spaces on our two Alpha courses starting this week - 7:30 pm Wednesday evening and 10:00 am Thursday morning. Perhaps you've got a friend you could invite along to the course - if you do you're more than welcome to go with them. Or perhaps you've been a Christian for a while and you just want to be reminded of the basics of who Jesus is, how to pray and how to read the Bible. Personally I think everyone would benefit from doing Alpha at some point in their walk with God - I've spoken on or lead over a dozen course and know how much I've been built up by just being exposed to the material again and again. If you, or you and a friend, are going to come then you can just turn up, but if possible it would be really helpful if you could give reception a ring (01344 862699) or an email so we make sure there is enough food, cakes and manuals! Last Sunday I talked about the need for us to take our masks off and be real. 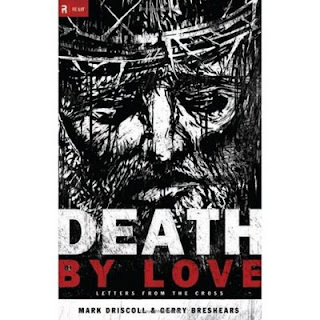 A book that’s been helping me do that is Mark Driscoll’s new book “Death by Love”. In it he takes a number of real pastoral situations (from a woman who's been raped to a husband whose wife has committed adultery) and writes a letter to the person involved, using each situation to explain some aspect of the doctrine of the cross. It’s an approach which keeps what could be complex stuff rooted and alive and makes very clear the impact of each doctrine. Some of the discussions get pretty technical, and you'll learn a load of new words which you probably won't end up using much in every day conversation, but it's well worth persevering. I particularly found the section on Christ being our expiation (cleansing us from our sin) helpful on the need to be real with God, and with others, and how if we do that we can find genuine cleansing from our past sins. I'm not sure whether we've currently got any copies in the bookshop but we'll try and get some ordered in. The week of prayer and fasting is coming up soon, so I wanted to give you a few details about what we’re planning to do. We haven’t yet worked all the details, so some of this may change, but this is what I think we’re going to be doing! This time we’re going to meet on the Tuesday, Wednesday and Thursday evenings (not on the Monday) in K2. On each evening we’ll worship for about 15 minutes, have a 15 minute biblical exhortation to pray and then spend the rest of the time praying. Then we’ll pray for 24 hours starting at 8:00 am on the Friday. As before we’re going to split that into one hour slots with a different leader for each slot. In each slot we’ll read a chapter of Luke’s gospel, than have 10 minutes of worship, 25 minutes to pray for the subject for that hour and then the rest of the time praying more generally. 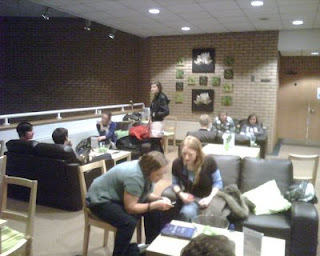 We’ll also have a 10 minute break between slots for everyone to get a drink, for people to leave and join etc. What I’d like is for everyone to try and pray for at least 2 hours out of the 24, and to have at least 8 people praying in every slot. To that end we’ll put sign up sheets in reception to try and make sure we have at least 8 people every hour, especially for the 4-6 pm slots on Friday which are often very quiet. My hope is that we have lots of different people praying at different times for different subjects. Just so people know I won’t be praying all through the night, as I know from past experience that if I do I won’t be any good by the end of Sunday. I’m so looking forward to this time. I do really believe that God has us in a season of growth and that prayer is one of the keys to seeing that happen. If you want to get involved or have ideas about what we should do please let me know as I do feel we need injections of fresh thinking when it comes to creative new ways to pray. One of the things we’re going to try doing at the new evening meetings is to have a Question and Answer session at the end of the message. We did it last Sunday evening and it seemed to really work. I love the rawness of both hearing what is on people’s hearts and also having to think on my feet – it certainly inspires me to prepare well! This Sunday one of the questions was “How do you cope when leaders let you down”. This came from a comment I made in the message about leaders only being human and that if we pin our hopes on leaders, rather than on Jesus, there will always be situations where we feel they’ve let us down. Given my awareness of my own failings as a leader, and a desire for us to build a strong biblically functioning community, I thought for the benefit of those not there Sunday night it might be worth repeating a bit of the answer I gave on Sunday night. First I think it’s important when you feel a leader has done something wrong to always apply the best possible explanation to their actions. Take the scenario of a Sunday morning, where you pass a leader in reception and they just walk past you and ignore you. The worst explanation might be that they don’t like you, they’re not interested in you and they don’t even know or care who you are. The best explanation could be that they’re consumed thinking about what they’ve got to preach in half an hour, they’ve just been called to sort out some admin issue and they didn’t get much sleep last night because one of their children is ill. Our tendency is always to assume the worst which is rarely the case in my experience. Always assume the best until you know better. Secondly it’s really important not to gossip. The more people you tell the bigger the problem gets. I remember a situation not long after Catrina and I joined the church where Ben Davies made a decision I disagreed with (it was about taking the youth to Alton Towers if you really must know!). Instead of going and talking to Ben I moaned to someone else, which then meant there were two people with a problem. Eventually it got back to Ben that I had an issue with the decision, and in his incredibly gracious way he phoned me so that we could chat about it. We met up and talked through the decision, I apologised for gossiping and it actually built our friendship. But how much better it would have been if I’d just gone straight to Ben rather than involving a load of other people. Third if you feel you can’t overlook the offence (which is a biblical way of dealing with it – “A man's wisdom gives him patience; it is to his glory to overlook an offence” Proverbs 19:11) then go and speak to the leader directly. I’d much rather somebody came and spoke to me about an issue than have it fester with them. And I’d always encourage face to face conversations. With a letter, an email or even on the phone it’s impossible to read the emotions behind words and it can often lead to conflicts getting bigger rather than being resolved. I have to admit that I’ve received some emails which have left me feeling down and a failure for the best part of a week (and in a real grump with everyone around me). Then when I’ve chatted to the person who sent me the email, often the following Sunday, I find that they haven’t even thought about the issue again and they don’t feel there’s anything to sort. I’m probably just overly sensitive, and it hasn’t happened often, but often enough that Lydia (my PA) now reads all my emails and letters before I do! Finally if that doesn’t work Matthew 18 gives a whole process for where to go next and how to seek resolution. What I’ve said applies to all of our relationships and friendships. People will always let us down, the question is how we deal with it when that happens. Let’s aim to build a community based on honest, open relationships where we seek to resolve things as quickly as possible. We've received some information from NewFrontiers which we need to give to everyone going to the Butlins event next weekend. Unfortunately they can't give us a list of who from the church is going, so if you are going please can you either email or phone The Kerith Centre reception and we'll get the information out to you as quickly as possible. Just back from the evening meeting, and what a day it's been. It feels like our first "Three Meeting" Sunday has gone better than I could have hoped. I've been overwhelmed by the serving attitude with which everyone has embraced the challenge. From the car parkers to the children's workers, welcomers to musicians, technical crew to the singers, it's a privilege to be part of the Kerith community. A huge thank you to everyone who helped make it happen. The numbers in each meeting were really good too, with a pretty even split between the two morning meetings, and extra chairs required in all three meetings. The photos are of me and the elephant in the mornings, and the unplugged lounge after the evening meeting - our very own Starbucks! And the great thing is that we get to do it all again next Sunday! A couple of people also asked whether I could post the link to my Radio Berkshire interview from Sunday morning. Stuart Cook helpfully posted a link to it which you can find in these comments. What I thought was going to one of my busiest Sundays to date, preaching the same message three times at our three meetings, just got a bit busier when Radio Berkshire asked if I could go and do an interview at 8am on Sunday morning. They're doing a programme about the decline in church attendance, and after getting our press release about our extra meeting wanted someone to talk about what we're up to. The team here felt it was right for me to go, so I'm going! Hope to catch you Sunday morning, or evening, or both! 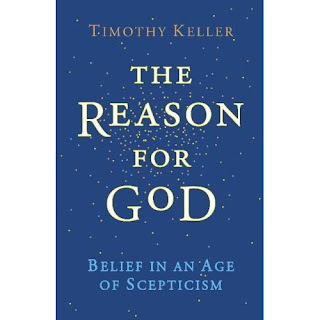 This Sunday I'm recommending the book "The Reason for God" by Tim Keller. I still haven't finished it, but have got far enough through it to be able to say that it's a superb examination of the seven most common objections to the Christian faith in our culture, and then evidence for Christianity as a reasonable way of understanding the world. It's written with such insight, honesty, integrity and sensitivity that I think it works for both non believers and believers. Rick Warren says that it's the book he buys for his questioning "not yet Christian" friends - high praise indeed. Up until now I've always thought Nicky Gumbel's book "Searching Issues" was the best book of this type, but I think Tim Keller has gone one better. It dovetails brilliantly with the "Elephant in the Church" series we start this Sunday, dealing with many of the elephants we're discussing. It's available in our bookshop at the discounted price of £9.99 - I recommend you getting a copy and then finding someone to give it away to. Below is a clip of Tim Keller talking about why he wrote the book. In an age where atheists seem to be getting more and more 'fundamentalist', and in particular where people like Richard Dawkins can be outspoken against Christianity to the point where their own arguments stop making logical sense, I found this piece in The Times by Matthew Paris quite remarkable. Take a read and see what you think. Thanks to Stuart Cook for pointing me to the article in the first place. Don't forget that from this Sunday we have three Sunday meetings, starting at 9am, 11am and 7pm (with a coffee bar from 6pm in the evening meeting). There has been a huge amount of activity this week making sure all the teams are ready and in place. The sign up for serving has been amazing, so a huge thank you to everyone who has joined our volunteer work force. As just one example on Tuesday night Alan and Penny Lander met up with our welcome teams (car parkers, welcomers and the Connect team) and had 75 people there. Their vision statement is "creating an environment for people to encounter God", which I think pretty well sums up what all of us are trying to do. We still need a few more volunteers, primarily in the under 5's and across the board on Sunday evenings, but I'm sure we'll fill those slots over the next few weeks. There does seem to have been a bit of confusion over who can come to the evening meeting (for which I take full responsibility). The answer is that everyone is welcome. There won't be any children's work in the evening but there will be a repeat of the Sunday morning J-Generation for young people in years 6, 7 and 8, and the adult preach will usually be the same as in the morning (although sometimes with a Q&A session thrown in afterwards). So choose your meeting time, get here on time (especially if you're serving) and be a part of this next exciting phase of Kerith growth. I'm getting so much out of my reading the Bible in a year. When I've done it before I've always just started at Genesis and just worked my way through, meaning that you don't get to the gospels until September or October. This time I'm using the reading plan given by the online YouVersion Bible software which gives you an Old Testament reading, a psalm and a New Testament reading every day and takes you through the OT once and the NT twice in a year. Today I went an extra step and installed the YouVersion software on my BlackBerry. I'm surprised how well it work on such a small screen. It's free for both the BlackBerry and the iPhone, so if you're lucky enough to have either why not install it and have the Bible with you wherever you are. Many of you will know that when I started leading the church in October 2007 I carried on doing my 'other' job at BlueArc 2 days a week. In some ways that has worked well. It has forced me delegate a lot more than I would otherwise done, it's kept me in the 'real' world (I know that when I preach on a Sunday I'm going to be walking into a secular office on Monday morning) and its forced me to be very focussed on how I use my time. However, I felt towards the end of last year that with the move to three meetings and the growth we're all praying for this year I wouldn't be able to sustain what I was doing without either going mad, or getting ill again (or both). So I took the decision towards the end of last year, in consultation with Catrina, the elders and others, to reduce what I do at BlueArc to just a consultancy role. That will mean me overseeing a couple of projects for a few hours a week (which I'll enjoy) but not having to actually do any design work or get involved in any of the stress when things go wrong. I'm not actually planning on being in the church office any more than I am at the moment, but will use the time I'm freeing up to pray, do sermon prep, study and think more about the future and where we're going as a community. All the things which I feel play to my strengths. I won't be using the time to get involved in anything new outside of Kerith, or to get any more involved in the day to day running of the church. So please pray for me in this new phase, especially that the time I'm freeing up won't just get swallowed up in even more meetings. And pray for Lydia (my wonderful PA) who will still have to handle all my email, my diary and generally letting me know what I need to be thinking about next. Well hello and welcome to 2009. I think that as a family we had one of our best ever Christmas and New Year breaks. A great mix of just being together with the five of us, seeing extended family and seeing friends, with some good walks thrown into the mix. I hope you had a good time too. Most of my presents were either books or book tokens. Someone asked me a while ago whether the fact that the list of "Books I've recently read" on the blog hasn't changed in the last 18 months was a reflection of the fact I don't ever do any reading! Well no, it's just a reflection on me never getting round to updating the list. I reckon in 2008 I must have averaged about a book a week, with a whole mix of Christian books ("God on Mute" by Pete Greig topped last years list), leadership books ("Axioms" by Bill Hybels and "Silos, Politics and Turf Wars" by Patrick Lencioni were my favourites), biographies ("William Tyndale" by Brian Moynahan was inspirational) or secular stuff (I really got into the Swedish author Henning Mankell this year, as well as Susan Hill, from which you might guess I like detective stories). So I start this year with a pile of books to read. I'm currently reading "Reasons for God" by Tim Keller, which is great on explaining why our faith makes sense (and for preparing for the elephant in the church series), and "Pure in Heart" by Susan Hill (which takes it's title from Matthew 5, but is actually a detective novel). I might change the list to be the last ten books I read, and may even get round to writing some short book reviews - would anyone find that interesting? Anyway, my New Year's resolution for this year is to read the Bible all the way through. I used to do that every year, but got out of the habit, and want to get back into it in 2009. I'm actually using the plan on the YouVersion website, which takes you through the Old Testament once and the New Testament twice in a year. If you haven't found it before YouVersion is a really cool online Bible which has pretty much every translation and can be accessed from the web as well as using an iPhone or a Blackberry. Why not join me on my journey through the Bible.